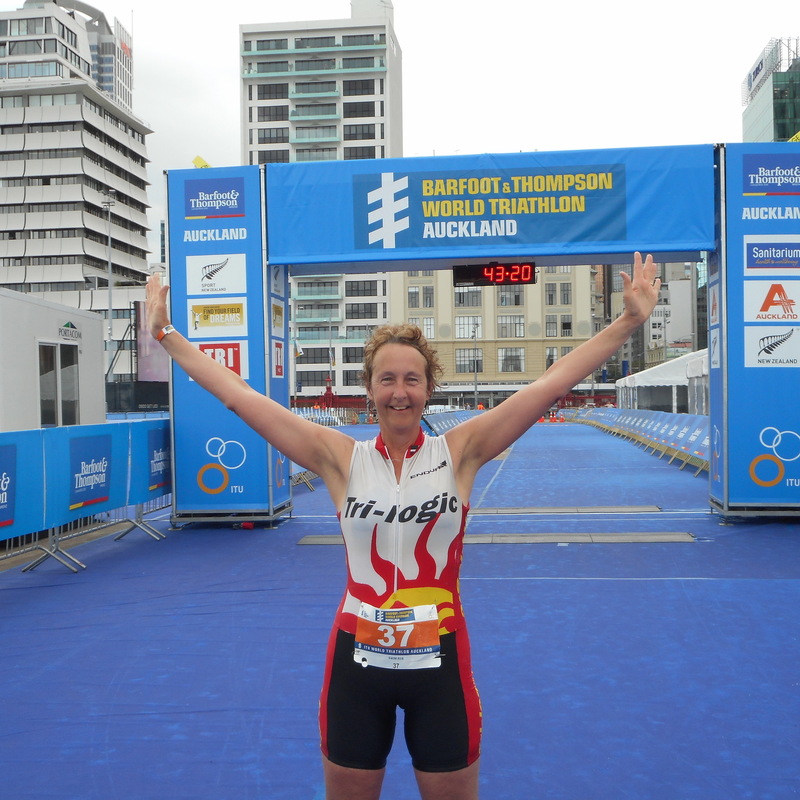 By sheer coincidence, I found myself in Auckland on the same weekend as the 2nd event of the ITU World Series. Unfortunately I was flying home on the Sunday so could not watch the elite races but I did manage to participate in a small way! 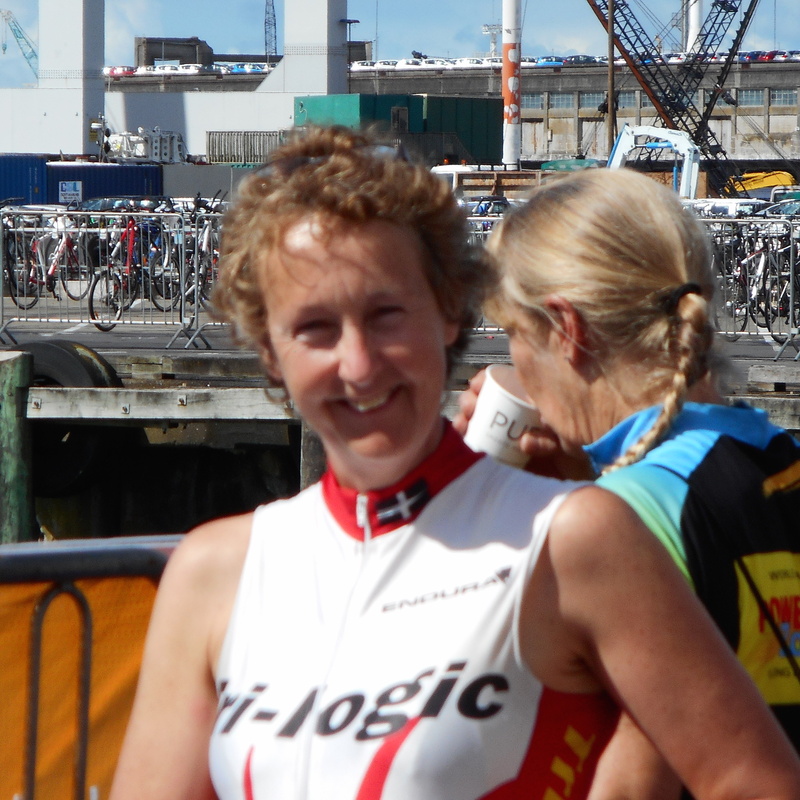 On the Saturday I took part in the “swim/run” event and flew the Tri-Logic colours (and more than one person commented on the fact that that liked my tri-suit!). It was amazing to be part of such a big international event. As I prepared for my swim the elite triathletes were just finishing their practise swims. I was milling about the transition with dozens of the professionals – I was hoping to spot Jonathan Brownlee, so that I could give him a bit of encouragement, but unfortunately neither of us were that lucky!! 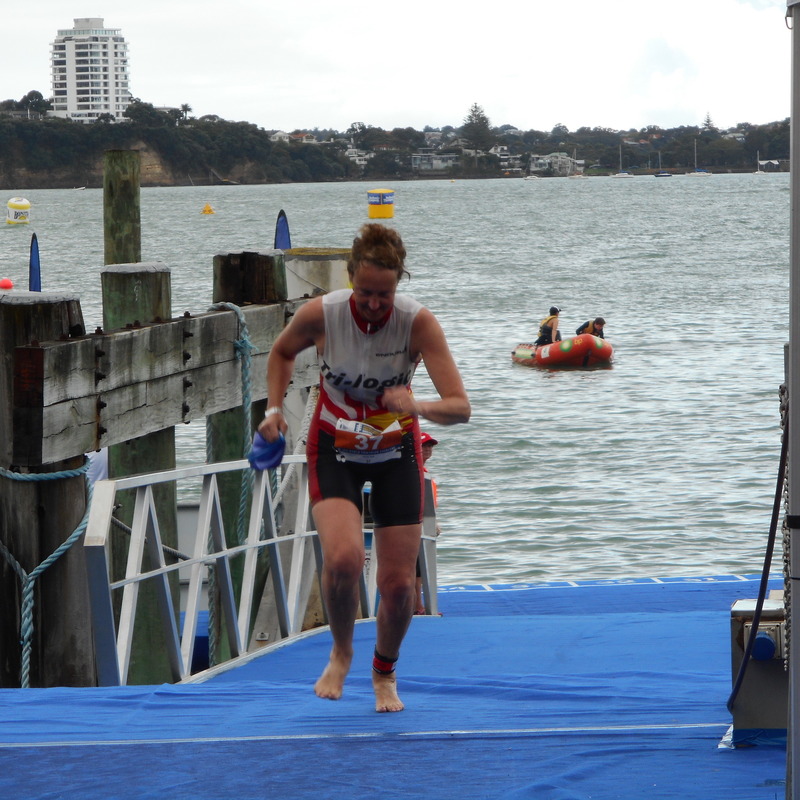 The swim itself was 750m around the Queens Wharf. Most people wore wetsuits but at a balmy 20 degrees centigrade I found it a delight (over the preceding weeks I had been wild swimming in glacier rivers and pools that would make brass monkeys shiver!!). As you know, you can feel a bit wobbly when you initially stand up after the swim, but getting out onto a moving pontoon gave me an extra wobble!! The run was short and sweet and before I knew it I was running down blue carpet and through the finish line. I have to admit there were no crowds of adoring supporters to give me a high five, just Barrie and my sister-in-law to take a photo and say “well done”! !